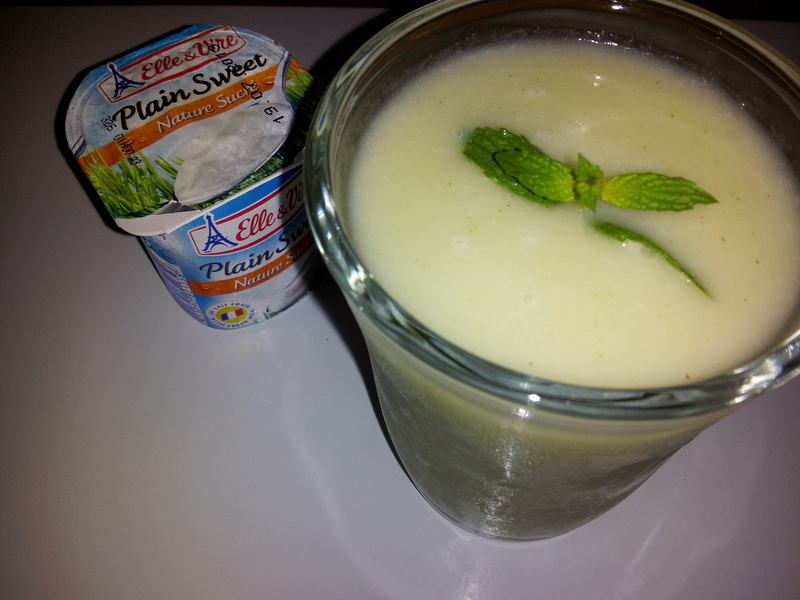 Elle & Vire’s plain sweet yogurt gives the drink a smooth texture without being too creamy, maintaining the natural crispness of the cucumbers and cleanness of the naturally sweet honeydew melon. Throw in a few fresh mint leaves and you have a refreshing, yummy smoothie perfect for the summer heat. I enjoyed this as part of my three-part breakfast (#fattie) but this can easily be transported to a cocktail drink by adding a splash or three of your favourite spirit. 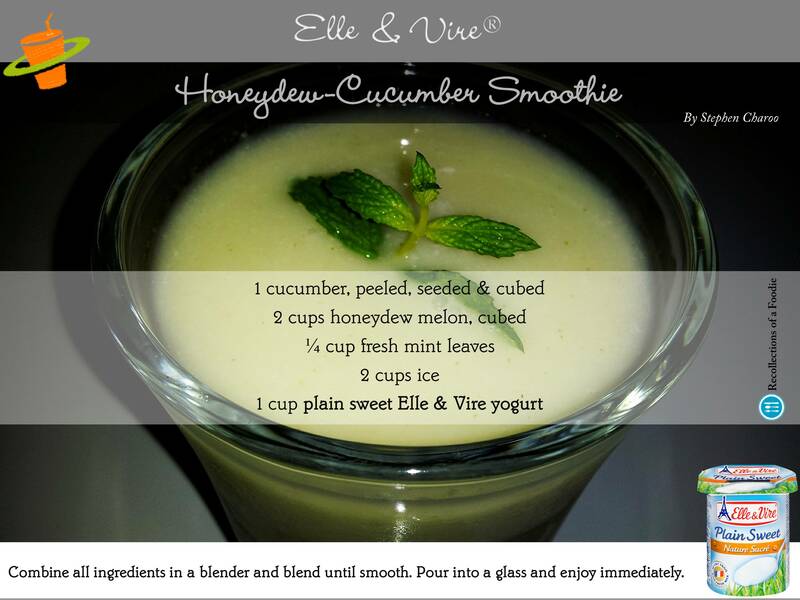 This entry was posted in healthy, homemade, Uncategorized, Vegetarian and tagged cucumber, eat clean, Elle & Vire, healthy, honeydew, melon, mint, refreshing, ShakeItUp, smoothie, yogurt, yum. Bookmark the permalink. What’s the serving size here? I had used this as one serving for breakfast, but it could go for 2, if you’re supplementing it with something else, like a light sandwich or so.